I have a problem with the way the Mac menu is always at the top of the screen, detached from the app. I can see the reasoning, it’s a good idea to make sure the menu is in a standard, predictable place for all apps. But, that all falls to pieces when you’ve got a massive screen (like an iMac, or a large monitor like I have), and you’re using floating windows. In the screenshot below you can see I’ve got 2 PHPStorm project windows open. I’m using the VCS controls in the menu to update one of them. But which one? I was recently sent a form through the post to complete. Yes an actual paper form, like from Victorian times! 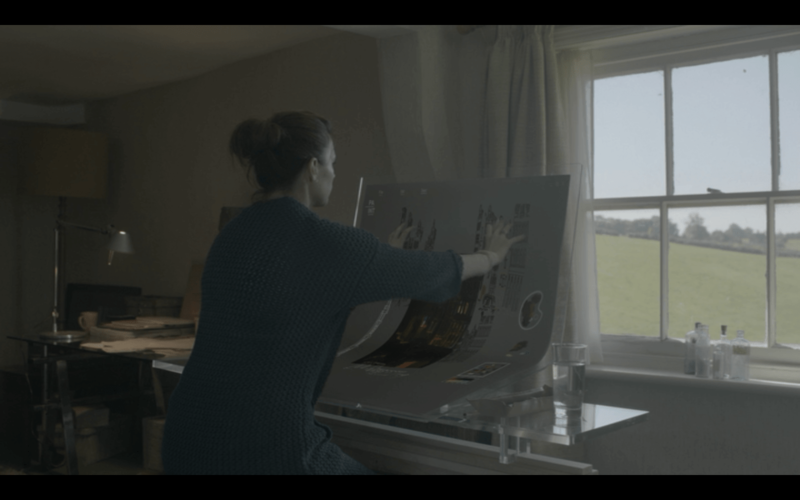 In the Black Mirror episode “Be right back” we see the protagonist painting on a large digital screen which was curved towards the bottom. At the time, this was science fiction, but I wonder how long it’ll be before this is real. I don’t mean the technology, I know we have touchscreens now, and even curved touchscreens, like the Samsung Edge phone. But everyone right now seems to be obsessed by mobile devices, and tablets. Meanwhile, larger desktop computers for work, for the people actually doing stuff (not consuming content, like the iPad is 90% useful for) aren’t in fashion right now. If you see someone doing work on a computer on TV, it’s normally on a laptop. A portable, sized laptop. But what about the artists, who want nice big displays? This one from Black Mirror seemed perfect. She also got to use proper art tools like pencils and brushes. Anyway, I’m mostly posting this so that in the near future I can link back to it and go “SEE!!!”. 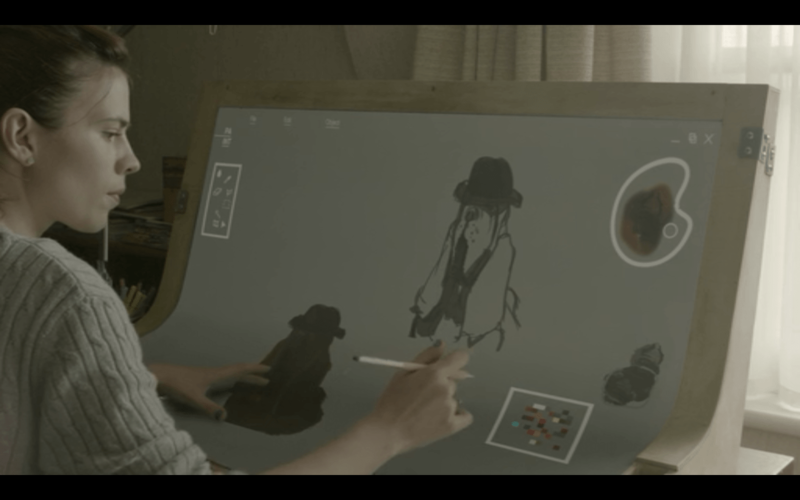 It’s also nice to see a computer interface in a TV show that actually looks useful. Not stupid holographic displays or transparent screens which would be a pain to focus on! Which I agree with so much I wanted to make it into a graphic to share on Facebook.